The University of Idaho is a place where breakthroughs happen; where students discover what’s next for themselves, the world, and all its possibilities. A nationally acclaimed research university, U of I offers exceptional opportunities to explore the unknownand solve perplexing puzzles in nature, agriculture, art, business, health, education, and more. U of I studentslearn while doing research that matters alongside some of the world’s bestminds in out-of-the-box areas, likevideo game design, memory loss, metal sculpting, tree-ring science, and glacial melting. With 93 bachelor’s, 79 master’s, and 33 doctoral degrees—including a top-ranked Law program—U of I prepares students for career success in jobs they love and that pay them back. Recognized by Business Insider as the “Most Affordable College” in Idaho, the University is well known for providing one of the highest educational values in the nation. U of I is Idaho’s only land-grant university and one of only 76 such institutions nationwide. 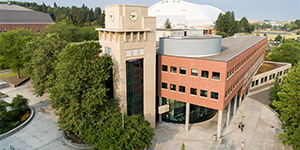 The main campus is in Moscow, Idaho, with educational centers in Boise, Coeur d’Alene, and Idaho Falls; nine Research and Extension centers; and Extension offices in 42 counties. With more than 200 clubs and organizations at U of I, students grow their interests and discover new passions while forming friendships and creating change. A student might lead a campus cleanup through the Environmental Club, rebuild a struggling community during a service trip to Nicaragua, or share cultural traditions as part of the Native American Student Association or the Organización de Estudiantes Latino Americanos. At U of I, students get the personal support they need to thrive while learning, stay mentally and emotionally healthy, and make new friends. With over 11,800 students from all 50 states and 73 different countries, the University is a safe, welcoming community that embraces all backgrounds, lifestyles, and cultures. At U of I, students are free to explore career paths, and along the way, some realize the best jobs are the ones theycreate themselves. Students get support and resources that help them find their dream careers, gain practical job experience, and make connections with potential employers. Each student works with a career advisor to find a major, polish their résumés, find internships, and navigate the job market. Hire a Vandal, a tool powered by Handshake, helps students kick-start their careers with job and internship postings, workshops, job fairs, and even practice dinners to teach the art of dining etiquette. This high level of support helps U of I students achieve career success. In fact, PayScale reports that U of I graduates earn a median mid-career salary of $95,200 per year—the highest among graduates from any four-year university in Idaho. Tucked between forested mountainsand a rolling green prairie, the U of I campus in Moscow—a friendly community recognized by CollegeSnacks as the “Best College Town in Idaho”—is surrounded by four seasons of outdoor adventure. 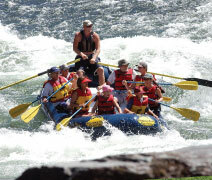 Students unwind in nature with an afternoon hike or ride along Paradise Creek or find thrills on a weekend trip to Idaho’s famed whitewater rivers or rugged backcountry. For big-city fun, Spokane, Washington, and Coeur d’Alene, Idaho, are just an hour-and-a-half drive from Moscow. U of I’s beautiful residential campus puts students at the center of the classic college experience. Whether in a residence hall or Greek house, students are surrounded by action and within steps of NCAA Division I athletic events, the award-winning Student Recreation Center, the annual Lionel Hampton Jazz Festival, dining and coffee shops, live shows and concerts, and many other campus activities that define the quintessential life of a college student. In the College of Engineering, students tackle challenges in innovativefields like robotics, cybersecurity, microelectronics, biomedical technology, aerospace, sustainability, and manymore. Recognized by the National Academy of Engineers as among the best in the nation, the College’s accredited programs prepare students to become leaders in the field throughteam engineering projects for industry, laboratory research, and hands-on design-and-build programs such as the Clean Snowmobile Challenge and Humanitarian Engineering Corps. The College’s successful graduates include alumnus Tom Mueller, rocket designer and engineer and cofounder of SpaceX, the first privately funded organization to send a liquid-propellant rocket into orbit. The College of Science offers rigorous undergraduate and graduate programs in Biochemistry, Biology, Chemistry, Geography, Geology, Mathematics, Microbiology, Molecular Biology, Physics, and Statistics. The College emphasizes quality student research—75% of its graduates recently reported conducting original research with potential publication. Students work closely with top-tierfaculty on groundbreaking science. For instance, a Biology and Mathematics major and Geological Sciencesprofessor are exploring how the melting Greenland ice sheet affects the ocean, and another student and herfaculty mentor are investigating the link between autism and neuron connections in the brain. As Idaho’s premier research university, U of I challenges students to push limits, ask tough questions, and find unexpected answers—and they do it through exploring and discovery in everything from the creative arts to the hard sciences. Two-thirds of all U of I undergraduates participate in hands-on research, and many students are in the lab or studio within their first semester on campus. U of I students engineer technologies to combat climate change, launch entrepreneurial innovations in the marketplace, study volcanic activity in Yellowstone National Park, transform the ordinary into art, and so much more. At U of I, students do, see, learn, and experience things in new and uncommon ways. Because at U of I, it’s about more than earning a degree—it’s about breaking through to a promising future.